SEAMAN JOB INFO - Senator Crewing Manila, Inc. 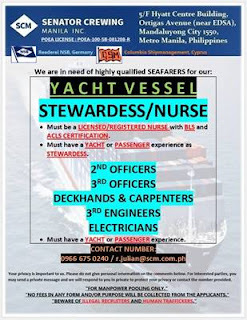 Urgent hiring for Filipino seafarers crew work at YACHT vessel deployment A.S.A.P. 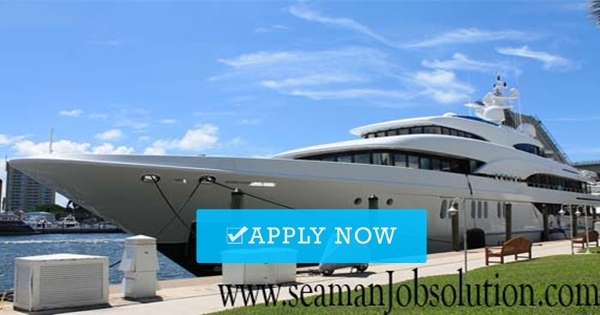 0 Response to "Deckhand, Carpenters, Stewardess, Electrician, 2/O, 3/O, 2/E For YACHT Vessel"